Direct from Chicago, Michigan’s first Stir Crazy Cafe opened recently at Great Lakes Crossing in Auburn Hills. 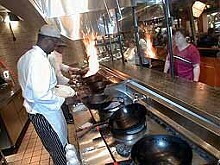 Featuring pan-Asian cuisine, Stir Crazy Cafe is famous for its create-your-own stir-fry. 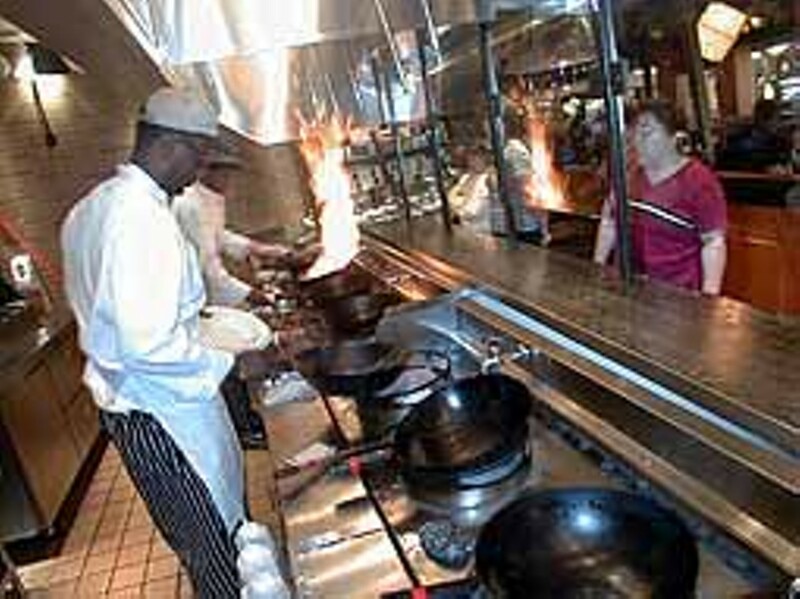 Customers can select from a wide variety of meats, vegetables, noodles and homemade Asian sauces, and then the chef will turn the ingredients into a stir-fry dish. There are also dishes such as crispy sesame calamari with wasabi cocktail sauce, wok-seared tuna sashimi, sesame Caesar salad, kung pao noodles and a banana wonton dessert. The decor, which includes natural materials such as wood, slate and bamboo as well as Asian artworks and artifacts creates a fun and casual environment.